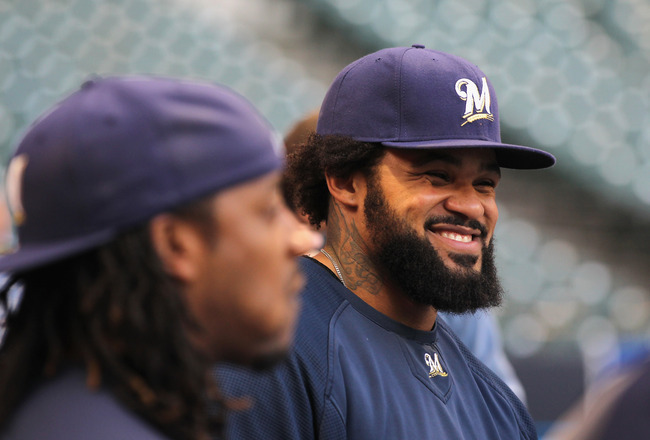 Will (and Should) the Brewers Regret Not Trading Prince Fielder? One of the most aggressive and “win-now” organizations in Major League Baseball over the past decade, seldom have the Milwaukee Brewers and it’s brass gazed back upon the past with any excessive amount of remorse. But given the state of the franchise right now, there’s a good chance that general manager Doug Melvin should have second thoughts about not trading his longtime first-baseman, Prince Fielder, prior to or at the non-waiver trade deadline last season. Here are a few reasons why Milwaukee should regret not dealing away Fielder last summer. After putting their farm system on wholesale two winters ago, the Brewers’ minor league affiliates were left in a world of hurt. Many of the prospects Milwaukee dealt away were nearing a big-league promotion. And while palpable improvements were made a year and a half later, fans are left asking themselves: What might the farm system look like had Melvin dealt Fielder to a desperate contender? While the answer to that question is unclear and relatively unanswerable, one would have to assume that the Brewers could have landed two, three or even four top-tier youngsters to help aid their system. Who knows—maybe those players would have been MLB-ready by the beginning of this season and could have been able to aid in Milwaukee’s quest toward the postseason this year. Unfortunately, the organization won’t have the opportunity to watch those potential prospects flourish on the big-league stage. Instead, the Brewers are left with no Fielder and no prospects. That’s regrettable in and of itself. 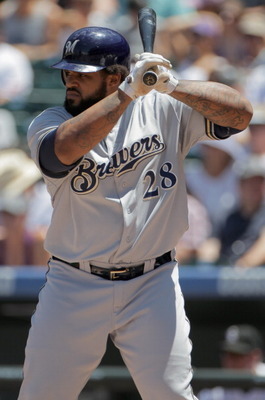 Alongside Ryan Braun in Milwaukee’s lineup, Prince Fielder was the offensive catalyst to Ron Roenicke’s batting order. Out of the cleanup spot for virtually the entire season, Fielder put up monster numbers on a consistent basis. Consequently, his value was extremely high—but how high? According to Fan Graphs, Fielder’s statistical yield with the both his bat and glove carried him to a 5.5 WAR (wins above a replacement-level player) that ranked fourth-best among all first basement in baseball and second-best to only Reds first baseman Joey Votto (6.9 WAR) in the National League. There were a few rumors out there that general manager Doug Melvin might look to trade Fielder before the July 31 trade deadline, but obviously nothing came to fruition. If Melvin would have acted on the sky-high value of his slugging first baseman, the Brewers would have been able to upgrade multiple positions within their lineup and probably wouldn’t be in the injury-ravaged situation they currently find themselves in. After a regular season in which he started every single game and posted nothing short of MVP-caliber numbers out of the cleanup spot on Ron Roenicke’s lineup, Fielder was unable to perpetuate his successes into postseason action. In six postseason games for a total of 25 plate appearances, Fielder posted a slash line of .200/.360/.600 of which included just two home runs, three runs batted in and four runs scored. He also struck out on over 19 percent of his at-bats and uncharacteristically walked on just 8.7 percent of his at-bats, according to Texas Leaguers. This, of course, came after the stocky slugger managed a .299/.415/.566 line with a strikeout rate of 15.3% and a walk rate of 15.5% over the course of the entire regular season, according to Fan Graphs. General manager Doug Melvin did nearly everything in his power last season to put together a World Series-caliber lineup that would flourish on the biggest and brightest of stages. Unfortunately, the anchor of his batting order just couldn’t get the job done—there’s no denying that Fielder’s productivity warrants some regret. Another year, another contractual quandary for the Milwaukee Brewers. 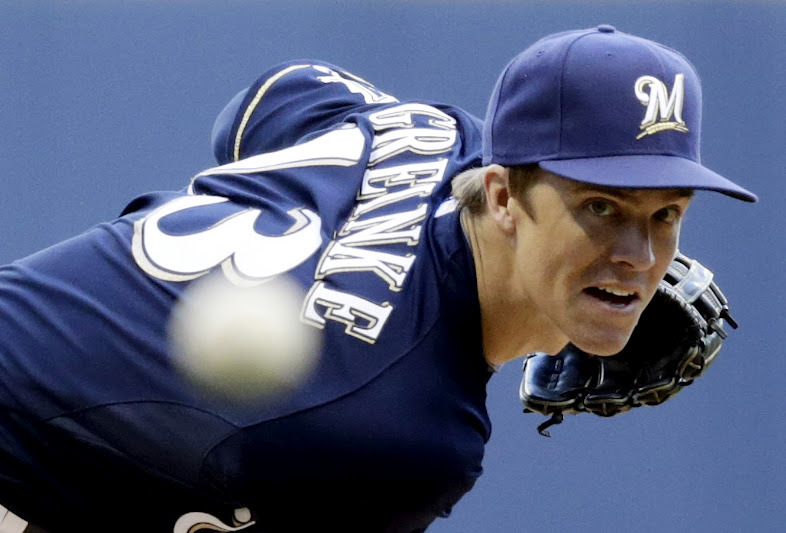 Last year, the Brewers found themselves in a tough situation with the Prince Fielder, and now they find themselves in a similar situation with Zack Greinke. Lamentably, the entire contract-extension dispute regarding Greinke could have been completely avoided if Melvin would have, at the very least, opened up trade talks for Fielder last season. Had Milwaukee dealt Fielder to a desperate contender last summer, not only would it have yielded a number of top-caliber prospects, but it would have also taken a large portion of Fielder’s behemoth $15.5 Million 2011 salary off the books. One can only assume that the money saved from shipping Fielder off would have aided Melvin and his brass in their quest to ink Grienke to a lucrative contract extension. Unfortunately, that opportunity has come and gone, and one would have to think Melvin will regret that reality for years to come. At just 42 years old, the Milwaukee Brewers are one of the youngest franchises in all of Major League Baseball. By Chicago Cubs’ standards, they’re still very much in the infancy phase as far as years of experience is concerned. With only one appearance on the Fall Classic stage — which came as a member of the American League way back in 1982 — the Brewers aren’t known as a terribly successful franchise, truth be told. But that shouldn’t undermine the Hall of Fame-bound talent that the franchise has compassed over the past near half-decade. Let’s take a look at the top 15 players in Milwaukee Brewers history with a few honorable mentions included for their exceptional play as members of the organization. Bill Hall was never going to tell you how good he was or how much he meant to the success of the team. He was a hard worker with a great attitude who could play every position other than pitcher and catcher. 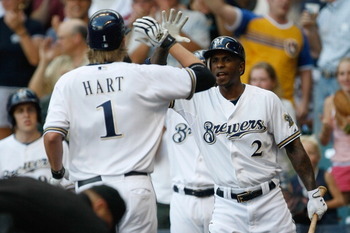 During the first half of his seven seasons with the Brewers, Hall was probably Milwaukee’s biggest threat at the plate. 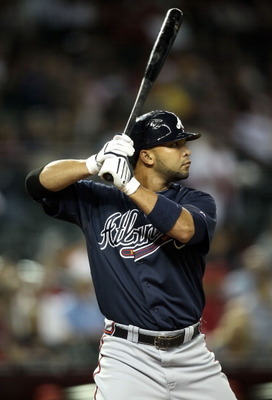 Four times he amassed over 55 RBI in a single season (yes, we know that isn’t saying much) but his best season came in 2006 where he batted .270 with 35 home runs and 85 RBI. He has since found his way around the league with a number of teams after his time with the Brewers, but make no mistake: He is absolutely deserving of being on this list. Jim Slaton was never known as being a overwhelmingly successful Major-League pitcher. However he deserves to be on this list for no other reason than his statistics alone. In 12 seasons as a starter for the Brewers, Slaton went 117-121 while posting a 3.86 ERA. Pedestrian numbers, to say the least, however his 117 wins remain a franchise record to this day and his 3.86 ERA also ranks in the top 10 among all Milwaukee starters. What’s most remarkable about his career with Milwaukee, though, was how much of an innings-eater he was. 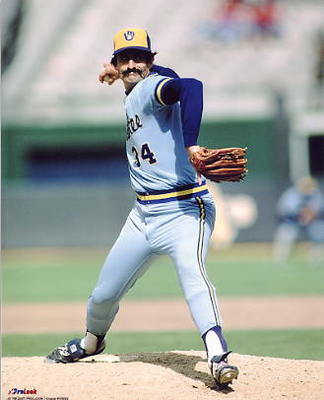 In 1976, Slaton worked 292.2 innings and started 38 games, fifth and fourth among all MLB starters that year, respectively. Though he may be more well-known throughout the baseball community for his days as a St. Louis Cardinal, there’s simply no getting past how striking his power was in his first few seasons with the Brewers. Chosen as the fourth overall pick in the 1986 draft, Vaughn made his major league debut in Milwaukee back in 1989. The relentless slugger first truly burst onto the scene in 1991, where he gathered 27 HR, 98 RBI and a .456 slugging percentage. He spent just seven seasons with Milwaukee, but he ranks seventh in home runs (169) and ninth in RBI (566) and runs scored (528). Acquired via trade from the Cleveland Indians back in 2000, Sexson spent three and a half unforgettably lasting seasons as a Brewers up until his departure after the 2003 season. From 2001-2003, Sexson managed no fewer than 102 RBI, 29 HR and 159 hits. The two-time all-star finished 12th in the NL MVP voting in 2003 with 45 HR, 124 RBI and a .927 OPS. Although the slugger was never able to flaunt his power on the postseason stage, he was undoubtedly one of the most accomplished power-hitters in MLB during his stay in Milwaukee. The 25-year-old right-hander may have only just completed his fourth complete season with Milwaukee, but there’s absolutely no disputing what he’s accomplished. Since his rookie debut back in 2007, Gallardo has progressively transformed into the ace that GM Doug Melvin recognized when he took him in the second round of the 2004 draft. His career 3.63 ERA ranks second-best all-time behind Teddy Higuera (3.61), and his 9.25 K/9 ranks first. Milwaukee locked up the power righty to a five-year, $30.1 million contract back in March of 2010. If his outstanding production sustains the test of time, he’ll end up as the greatest starter in Brewers history. 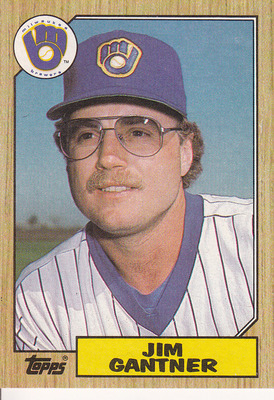 If you’re talking about all-time Brewer greats, you simply cannot exclude Jim Gantner. He played 17 steadfast seasons at second base for Milwaukee and was a mainstay in Harvey Kuenn’s wall-banging 1982 championship team. Never known for his power (he finished with 47 career home runs), Gantner worked through his impotent-ways at the plate by ranking fourth all-time in hits (1,696) and runs (726) and fifth in doubles (345). He was also apt on the bases, notching 137 career stolen bases — enough to rank third all-time. Gantner was a hard-worker who gave seemingly everything he had, and is certainly deserving of being deemed an all-time Brewer great. Thomas was, believe it or not, Milwaukee’s first ever draft pick, coming back in 1969. He spent over nine seasons in the outfield of old County Stadium, most of which will probably never be forgotten by Brewers fans everywhere. Milwaukee’s ever-likable center-fielder currently ranks fourth-all time in home runs (208), seventh in RBI (605) and eighth in slugging percentage (.461). He was a true power-threat at the plate but was by no means consistent, posting a career .230 BA as a Brewer. During the so-called “dark ages” of the franchise prior to the construction of Miller Park, Jeromy Burnitz galvanized Brewers fans with his power-packed swing. During his five-and-a-half year stay with Milwaukee, Burnitz totaled 165 home runs and 525 RBI, a .508 slugging percentage with a .362 on-base percentage. He averaged 33 home runs and 102 RBI in each season from 1997-2011 and finished 19th in NL MVP voting in 1998. Burnitz would end up bouncing around the majors after his time with the Brewers, finishing his 14-year career as a member of the Pittsburgh Pirates. However, there’s no doubt his legacy will remain with Milwaukee. It’s sad to think that Rollie Fingers is more widely known for his extravagant facial hair than his dominating days as a Milwaukee Brewer. Then again, that is one impressive mustache. Spending his last four professional seasons with Milwaukee, Fingers was able to dispatch every ounce of pitching talent left in his arm. In 1981, he posted a 1.04 ERA with 28 saves and a 0.87 WHIP on his way to the Cy Young Award, and to this day still remains the only pitcher in Brewers history to win the prestigious award. The next two seasons, Fingers averaged 26 saves and a 2.28 ERA, but more importantly aided in Milwaukee’s quest toward the 1982 AL pennant and lone World Series appearance. Long live the ‘stache. Boom or bust — whatever you want to call him — there’s simply no denying how dominating Ben Sheets was during his golden days with Milwaukee. In eight seasons with the Brewers, Sheets went 86-83 and struck out a franchise-best 1,206 batters, boasted a 3.72 ERA and 1.20 WHIP. In 2004, one of the greatest individual seasons in Brewers history, Sheets went 12-14 with a 2.70 ERA, 0.98 WHIP and struck out a ridiculous 270 batters. Sheets had a number of dominating pitches at his disposal, but none were as notorious as his curveball. Thanks in large part to his breaking pitch, he managed a 28.1 K% during his historic 2004 campaign. In my mind, there has never been a Brewer starter with more pure talent than Sheets. If not for injuries, we could be talking about a future Hall of Famer. Probably one of the most unheralded pure hitters in the history of baseball, Ben Oglivie was an absolute gamer in his nine seasons with the Brewers. Originally drafted by the Red Sox, Oglivie made his way to Milwaukee prior to the 1978 season. That year, he posted a .303 BA and a .497 slugging percentage. In nine seasons with the Brewers, Oglivie was named to the All-Star team three times and won a silver slugger in 1980, arguably his best season, where he batted .304 with 41 home runs and 118 RBI. He was a mainstay on Harvey Kuenn’s AL championship team in 1982, and will go down as one of the best pure hitters in franchise history. There was an undefinable likability about Geoff Jenkins among fans in his 10 seasons with Milwaukee. Maybe it was his scrappy demeanor of play, or maybe it was his alarmingly impressive statistics. I think it was both. In a decade’s worth of play for the Brewers, Jenkins managed to crack the franchise’s top five in career home runs (212), RBI (704), slugging percentage (.496), OPS (.843) and extra-base hits (521). He made the All-Star team in 2003 but unfortunately had just one taste of postseason action with Milwaukee coming in 2008. 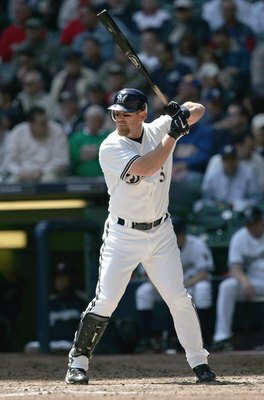 Jenkins’ big bat helped usher in the post-County Stadium era and was arguably Milwaukee’s premier slugger from 1999 to 2004. The Brewers have never been particularly notorious for their historic pitching talent, but Teddy Higuera is a clear exception to that criterion. In 10 major league seasons (all spent with Milwaukee), Higuera posted a franchise-best 3.61 ERA and went 94-64, enough for a .595 win percentage. He once amassed 20 wins and four times posted 15-plus win seasons. He wasn’t a strikeout/power pitcher by any means — he garnered just a career 18.8 K% — but he was able to work his way through tough spots and limit his mistakes. Originally drafted by the Boston Red Sox, Cecil Cooper never truly found his way in the major leagues until he was traded to Milwaukee on December 6, 1976. From there on out, he was indeed a superstar. 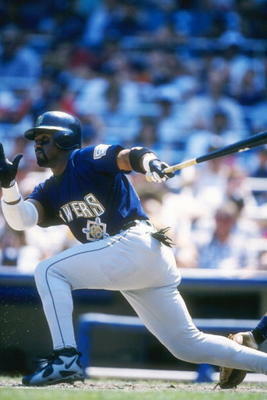 During his 11 season with the Brewers, Cooper was selected to the AL All Star team five times and hoarded three silver-slugger awards. He also aggregated two gold glove awards, a testament to his superb defensive capabilities while playing first base for Milwaukee. From 1979 to 1983, Cooper averaged 25 home runs, 107 RBI and a .320 BA. He led the AL in RBI 1980 and 1983 and finished in the top five in hits during that four-year span. If it weren’t for Prince Fielder, Cooper would be the greatest first baseman in Brewers history. Though Prince Fielder was unable to lead the Brewers to a World Series in his six full seasons with the club, he was able to become one of the greatest players in franchise history. That’s saying something. Holding down the fort at first base full-time since 2006, Fielder has put together an unprecedented career. He 230 home runs rank second all-time and his 656 RBI are enough to rank sixth. He holds the all-time high with a .390 on-base percentage and his 439 extra-base hits ranks fifth. Oh, and did we forget to mention he’s a two-time silver slugger, three-time All Star and has participated in three home run derbies? There may never be another left-handed slugger like Fielder in the history of the franchise. 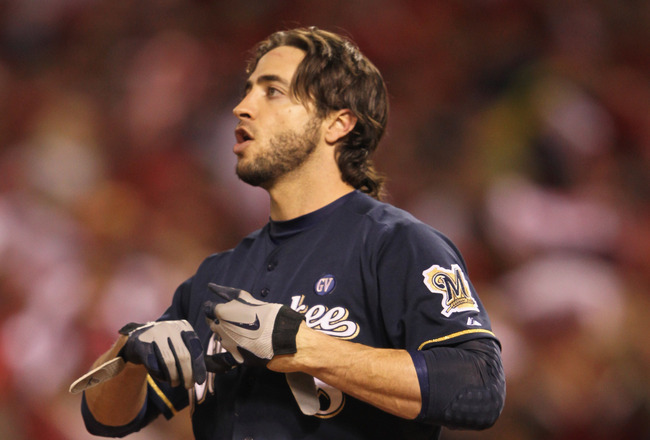 Unwarranted performance-enhancing drug allegations aside, Ryan Braun will be the greatest player in Milwaukee Brewers history when it’s all said and done. Signing a five year, $105 Million contract extension last April will make him a Brewer until 2020. It’s only inevitable, folks. Since entering the league May of 2007, Braun has been absolutely remarkable. He’s hoarded 161 home runs, 531 RBI and has set franchise-bests with a .312 BA, .563 slugging percentage and .933 OPS. He’s been, as the kids call it, totally rad. Last season, Braun stockpiled 33 home runs, 111 RBI and a league-best .597 slugging percentage on his way to winning the franchise’s first MVP award since Robin Yount (more from him later) did it back in 1989. You’d better believe there’s more where that came from for Braun in the coming seasons. Paul Molitor could seemingly do it all. He could run, hit for power, hit for average and play defense. When you look up the definition of a “five-tool” player, there’s probably a picture of Molitor. In 15 illustrious seasons with the Brewers, Molitor put up some truly incredible numbers. I’m not sure if there’s ever been a more convincing ranking in the history of the franchise. What Robin Yount accomplished in 20 seasons with the Brewers may never be repeated or surpassed. He holds the all-time lead in hits (3,142), runs scored (1,632), home runs (251), RBI (1406), stolen bases (271) and extra-base hits (960). We could keep going, but I think you get the point. He was a three-time All Star and remains the only player in MLB history to win an MVP award at two separate positions — one coming as Milwaukee’s shortstop and the other coming as a center-fielder. Yount also compiled three silver slugger awards and one gold glove, and his jersey number, 19, is retired in Milwaukee. 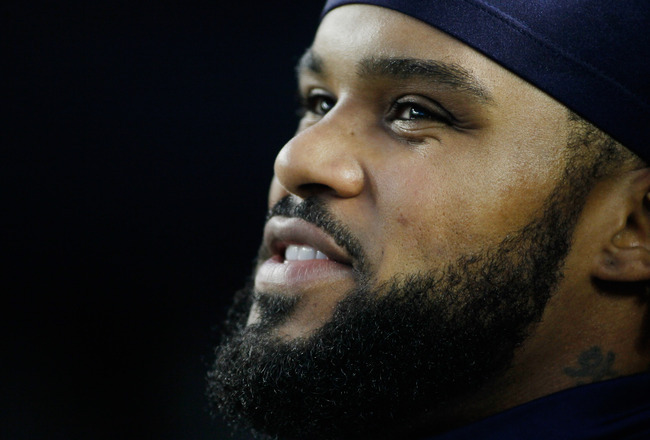 Major League Baseball’s annual winter meetings are nearly a week away, and former Milwaukee Brewers first baseman Prince Fielder has yet to meet with any clubs to discuss a new contract. Countless rumors and whispers around the league have surfaced regarding which team has the best shot at nabbing the burly slugger, but no team has yet to establish themselves as the front-runner in the sweepstakes. With free agency moving swiftly, here are five teams who look to have the best shot at signing Fielder. Many teams want Prince Fielder. The Seattle Mariners need Prince Fielder. Last season, the Mariners backed up their claim as MLB‘s worst-hitting club by finishing dead last in slugging percentage (.348), on-base percentage (.292), runs scored (556) and RBI (435). Miguel Olivo led the club with just 19 HR and 62 RBI, and not one player batted over .276. With Fielder available for signing, now is the perfect chance for general manager Jack Zduriencik—who was largely responsible for drafting Fielder as a scout for the Brewers back in 2002—to bolster his club’s offensive firepower. Sports Illustrated‘s Jon Heyman believes the Mariners will be in the hunt for Fielder’s services this winter. He does, however, remain skeptical about how much capital management will have to work with. The foregone conclusion around MLB is that Theo Epstein and the Chicago Cubs will go after either Fielder or Albert Pujols this winter, as the club is in serious need of a premium bat to bolster their offensive output. With the money available, Epstein should have a great shot at reeling in the hefty slugger. With former Milwaukee Brewers hitting coach Dale Sveum running the show on the North Side, the likelihood of Fielder suiting up for the Cubs is legitimate. Needless to say, the Cubs are desperate for a power-type hitter such as Fielder if they are to contend for the NL Central next season. While there’s no doubting how talented many of the Nationals’ top prospects may be, it’s clear that unless management makes a move for a big-time bat in the near future, Washington will continue to dwell in the NL East cellar for years to come. Ranking at or near the bottom half of all NL clubs in many offensive categories last season, the Nationals lacked the offensive firepower necessary to grapple with the Philadelphia Phillies and Atlanta Braves for a division title. If GM Mike Rizzo is able to ink a premium slugger like Fielder to a long-term deal, the Nationals will be instant competitors out East next season and into the future. The Angels have been considered suitors for Fielder for quite some time now, mostly because of their serious need for a slugger in their underachieving lineup. Newly hired GM Jerry Dipoto says he will look for other areas to improve his ballclub this offseason other than courting Fielder. Nevertheless, with first base already occupied by young star Mark Trumbo, signing Fielder to become Los Angeles’ new designated hitter seems like a real possibility at this point. Buck Showalter and Company showed massive strides of improvement at the beginning of last year. However, their lack of power and inconsistencies at the plate put an end to their ephemeral success. Mark Reynolds, Adam Jones, J.J. Hardy and Matt Weiters lead a solid Baltimore lineup into next season, but with the evident lack of a home run threat, it’s a foregone conclusion that 2012 will be yet another disappointing campaign for the O’s. If Baltimore has any intention of breaking through the AL East hierarchy in the near future, they’ll need to fetch a slugger like Fielder. They might just do it, too. Major League Baseball’s annual winter meetings are a mere three weeks away, and to the overwhelming surprise of many, the Milwaukee Brewers aren’t planning on meeting with former first-baseman Prince Fielder and his agent, Scott Boras, to discuss the possibility of a brand new contract offer. Last spring, Milwaukee attempted to sign Fielder to a contract extension worth approximately $100 Million, but management had never received a counter offer from Boras and company. They then proceed to sign Ryan Braun, among others, to a five-year, $105 Million deal that would make him a Brewers through 2020. Fielder, who unlike fellow free-agents Albert Pujols and Jose Reyes, has yet to meet with any clubs to talk about a new deal. Many point to the Cubs, Rangers, Mariners, Nationals and even Giants as the most likely destinations for the big bopper this winter. 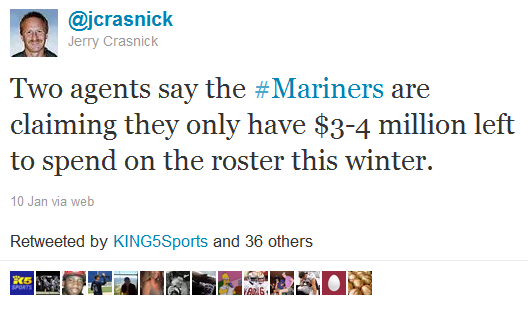 Nevertheless, one can’t expect there to be a surplus of dough available toward bringing Fielder back next season. Only time will tell whether Milwaukee has a practical shot at the slugger. Follow Alec Dopp on Twitter. 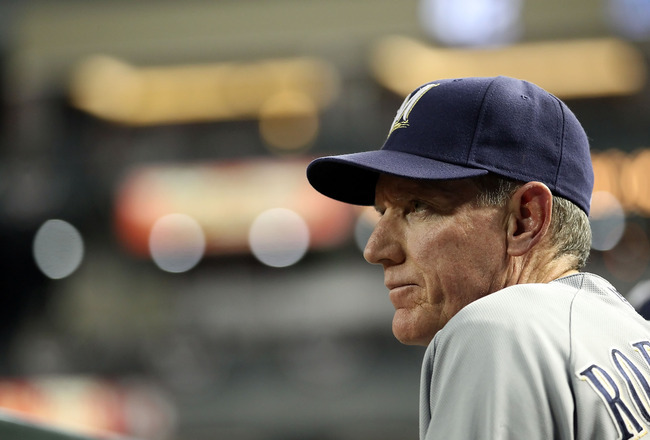 After being shunned by the St. Louis Cardinals in last month’s NLCS, Ron Roenicke and the Milwaukee Brewers enter the 2011-2012 offseason on a somber note. However, that shouldn’t deter them from rectifying their past woes as next season comes into focus. With last winter’s acquisitions Zack Greinke and Shaun Marcum set to return to Milwaukee for at least one more season, the Brewers know well and full that they are still one of the top clubs heading into 2012, despite Prince Fielder’s potential departure. Nonetheless, there are still plenty of other question marks concerning the Brewers moving forward. How will GM Doug Melvin retool his defending NL Central champions this offseason? 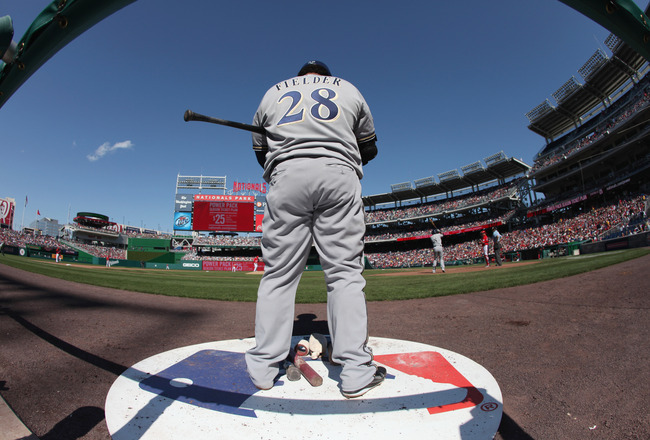 Is there still a possibility that Fielder will be back in 2012? How about Tony Plush? 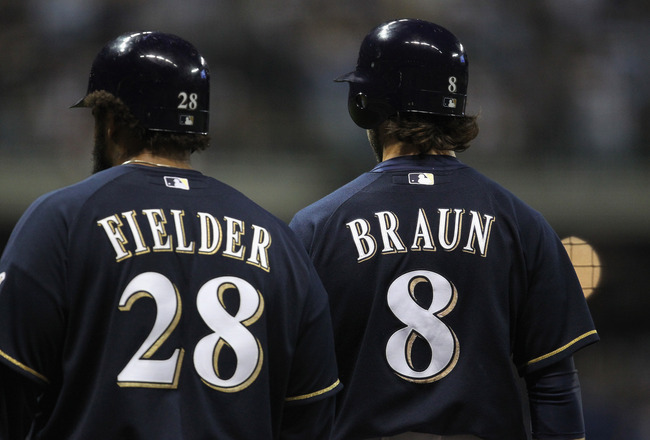 Let’s take a look at the eight biggest question marks facing the Brewers this offseason. Will Dale Sveum Be Back with the Club in 2012 and Beyond? While the entire coaching staff will be welcomed back with open arms next season, bench coach Dale Sveum could be on the move much sooner than later. According to sources, Milwaukee’s bench-coach of the past six seasons has already interviewed with the Red Sox and Cubs in regards for the two clubs’ coaching vacancies. Sveum knows the insides and outs of the game of baseball and has proven it thoroughly during his tenure in Milwaukee. Will he leave or will he return for 2012 and beyond? For a last-minute roster addition prior to the regular season, Nyjer Morgan proved to be a sumptuous left-handed bat in Ron Roenicke’s lineup. Still, is he worth bringing back in 2012? Last season, the candid center-fielder produced at an alarming rate. In a mere 378 at-bats, Morgan registered 115 hits (enough for a .304 BA), notched four home runs and 37 RBI. He also garnered 13 stolen bases on his way to a 4.0 WAR. This winter, Morgan is arbitration eligible after making $450,000 last season. Will Melvin decide to bring Tony Plush back next year? What Does Casey McGehee’s Future Hold in Store? It’s difficult to put into words how awful Casey McGehee was in 2011. Coming off a sensational 2010 campaign in which he beat out Ryan Braun and Prince Fielder for the team-lead in RBI (104), McGehee won over the hearts of Brewers fans to no end, and seemingly won over the starting role at the hot-corner for the prospective future. Nowadays, there’s speculation over whether or not Milwaukee should even retain the 29-year-old journeyman. Last season, McGehee collectively batted .223 and maintained a gruesome .280 OBP on his way to just 67 RBI and 13 HR. Consequently, his poor execution resulted in just a .249 BABIP and a lousy .346 SLG. McGehee is arbitration eligible this offseason for the first time. 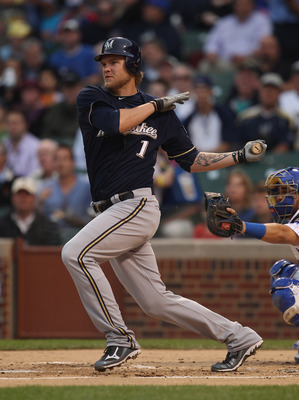 Will he return to the Brewers in 2012 or be dealt away? You’re guess is as good as mine. Who Will Take Yuniesky Betancourt’s Place in the Field? The Brewers kicked off their offseason by declining Yuniesky Betancourt’s mutual 2012 option late last month, marking the end of the shortstop’s forgettable one-year tenure with the club. Unfortunately, there isn’t much prominent free-agent talent to be had this winter, making Melvin’s job of replacing Betancourt only that much more hard. Rumors have surfaced about Milwaukee’s strong interest in pursuing former Mets shortstop Jose Reyes, however it seems less than probably that they actually sign the superstar. This leaves room for more practical additions such as Clint Barmes, Alex Gonzalez and Rafael Furcal. Lord knows replacing Betancourt shouldn’t prove to be too problematic. Who Will Become Milwaukee’s New Set-Up Man? Finding their setup-man in Francisco Rodriguez following the All-Star break proved beneficial in Milwaukee’s regular season and postseason achievements. In 29.0 IP with the Brewers, the veteran hoarded 17 HLD and 33 SO, walked just 10 and maintained a 1.86 ERA. Melvin wisely declined Francisco’s monstrous $17.5 Million vesting option late last month. The question Milwaukee must now ask itself is who will fill K-Rod’s shoes next season. There are several noteworthy names available for signing this winter, of which include Frank Francisco, David Aardsma, Matt Capps and Octavio Dotel. None are nor have strikingly brilliant repertoires, however, the Brewers cannot afford to be too picky with such a arid free-agent market. Is Mat Gamel Ready for the Big Stage? With Prince Fielder likely to have played his last game in a Brewer uniform, big changes are imminent. Incumbent 26-year-old prospect Mat Gamel now appears to be the most-likely replacement for Fielder next season. But is he ready for the big stage? Experts and pundits have been skeptical about his future in the big leagues for a while now. Many point to his feeble .222 BA in 171 career at-bats with Milwaukee as a cause for concern, along with his 36.5 K% in 2009. Even so, a sample size of 171 at-bats is hardly a testimonial to what he could be in a full-time starting role with the Brewers. In his last two seasons in triple-A, Gamel averaged a .310 BA, 21 HR, 82 RBI, .337 BABIP and a .526 SLG. At this juncture, its hard to determine what management will decide to do regarding the youngster’s future. His 2012 season will ultimately come down to his sheer production in spring training. Which Prospects Are Ready to Make the Leap? While there’s no escaping the fact that Milwaukee’s farm-system is drained at best, that doesn’t necessarily mean there aren’t prospects ready to make the leap. As we pointed out last week, the Brewers are interested in promoting RHP Wily Peralta and CF Logan Shafer from triple-A by opening day next season. Third baseman Taylor Green also made an impression on the club last September, and it remains to be seen whether management feels he can be the everyday starter by 2012. Given the number of uncertainties pertaining to the bullpen, it looks as though Peralta should make the 25-man roster next April. Nevertheless, all three have a legitimate shot at being on the opening-day roster. Who will get the nod in 2012? Can Management Actually Bring Back Prince Fielder? There are many question marks surrounding this Milwaukee club, but none are more prominent than what Fielder’s future holds in store. 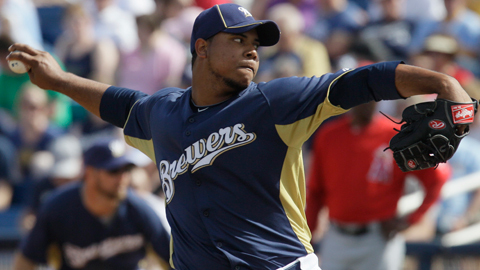 Popular belief has said that the young 27-year-old isn’t likely to return to the Brewers in 2012 and beyond. After yet another MVP-type season (.299 BA, 38 HR, 120 RBI, .415 OBP), its easy to see why. Clubs with money to spend like the Rangers, Nationals, Mariners and Cubs are at the top of the totem pole at this juncture, but the Brewers are still very much contenders for Fielder’s services. Owner Mark Attanasio claims he will make a valiant effort at retaining the Fielder’s bat this winter. Is it a realistic possibility or simply a publicity stunt?